A few miles to the east of Portsmouth is the kiting Playground know as Hayling island. We love to take trips over to Hayling when we’re not teaching in Poole Harbour. Featuring on our ‘spot guide’ and claimed as “one of the best spots in the world” by pro rider and local legend– Sam Light, West Beach, Hayling Island is the place to shred for experienced kiters. With a 2 km long sandbar which stretches out into the solent, the inner lagoon is sheltered from the prevailing westerly wind chop. It offers the most amazing variety of flat water and waves, accessible from both shallow and deep areas of the beach. A strongly tidal and privately run beach, sessions will be scheduled and riders will require CBK club membership for £10 per day. Whenever we’re heading that way, we’ll be running a series of optional advanced clinics, catering from first turns and jumps to kiteloops and unhooked moves. Tailored to individuals with a plan made around the weather and the group, Chris will set the coaching schedule to benefit everyone. Day membership can be purchased before hitting the beach for £10 from the Poseidon team or by visiting the CBK shop. 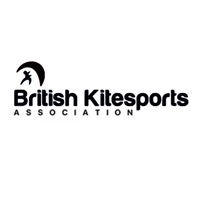 Bring beach footwear – there’s a long walk over shingle to the kite zone.